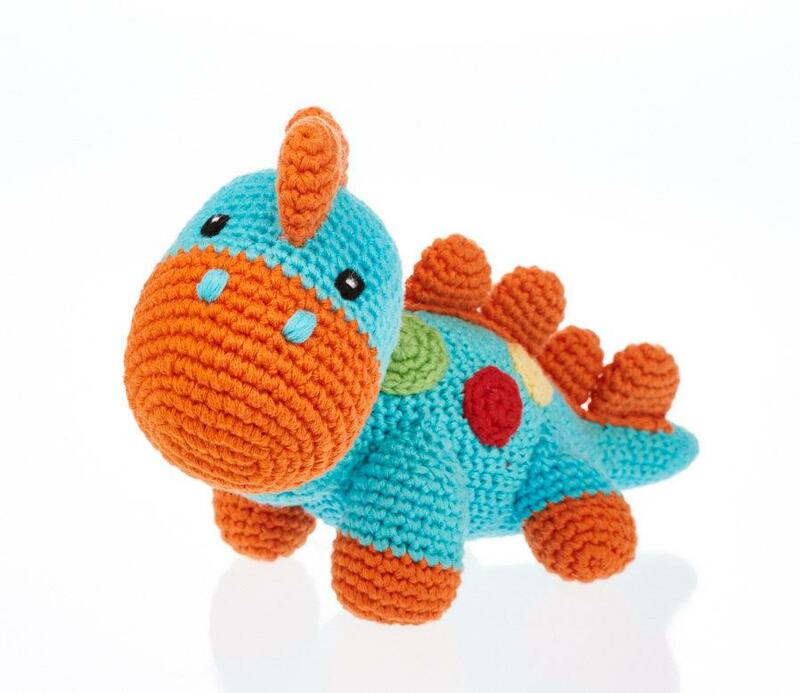 This fabulous crochet dinosaur baby toy is sure to be a big hit with your baby. Handmade from cotton yarn in turquoise and orange, the colours are both appealing and stimulating for your baby. Tactile crochet and a soft baby rattle make it a perfect baby gift or a unique present for baby’s first Xmas.